This is a must have if you value you or your loved ones necks, can literally save their neck! 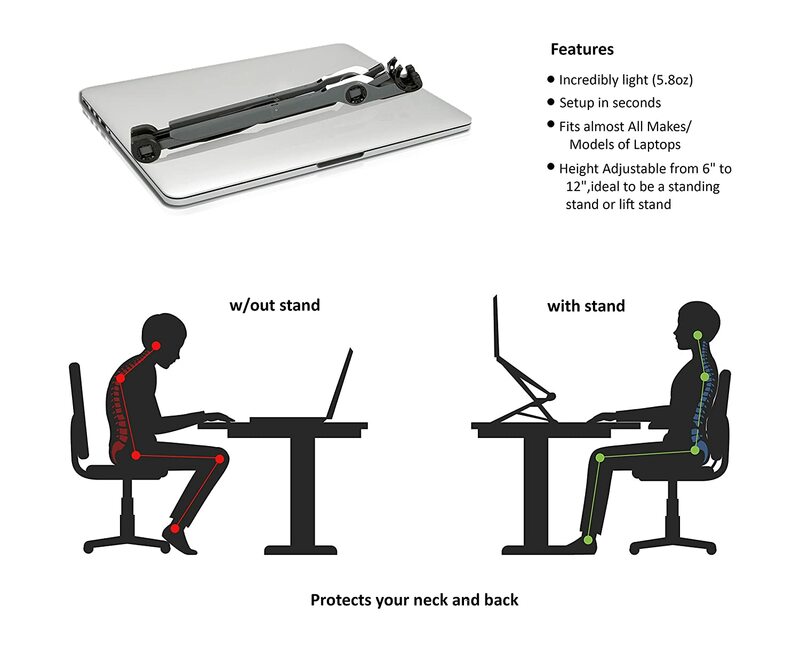 It folds up into a lightweight and portable package, takes 2 seconds to unfold and puts the laptop at the right height for an ergonomic working position. Click here for the best deal I could find for one of these. I came across this as I’m always keeping an eye on my older brother for what’s coming down the road for me. He’s in physical therapy now and has to wear a sensor that shocks him when he slouches. No way do I want that! Oh and yes, this is what I’m getting him for a Christmas present.